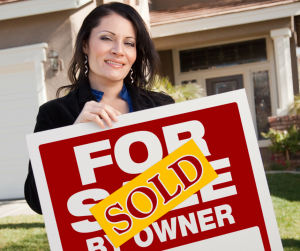 We buy houses in Jacksonville and around Florida. We also buy real estate properties nationwide. Let us make a fair all-cash offer on your house. We Buy Houses Anywhere In Jacksonville And Within This Area, And At Any Price. We also buy houses nationwide. Check Out How Our Process Works. We’re Ready To Give You A Fair Offer For Your House. Basically, if you have a house and need to sell it… we’d like to make you a fair cash offer and close on it when you’re ready to sell. We Will Pay Cash For Your House. Contact Us Today! All that hassle can add stress, months to the process, and in the end after paying the agent’s expensive fees, you may or may not be ahead of the game. I will purchase your house “AS-IS”. No extra costs to you to “spiff up the place” as your real estate agent will inevitably advise you to do. The “net” price quoted to you is what you put in your pocket! Let’s compare that to a traditional real estate agent sale. After the sale price is determined you will also incur these costs: 6% to your real estate agent, 3% for estimated closing costs, 3-5% in repairs that the new buyers will want a reduction on, and then there’s the holding costs you will incur while you try and sell. Typically that could be another 3-5 months worth of payments and utility bills. You have lost almost 15% from the get go!